The Future is Female… and Accessible. | Where It's AT. The Ability Tools Blog. The Future is Female… and Accessible. 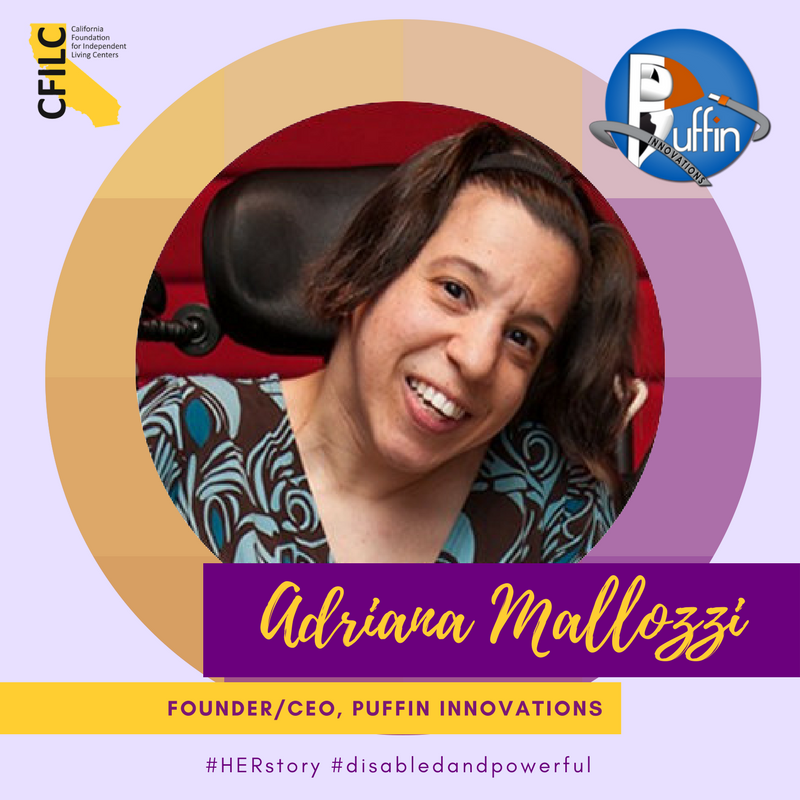 Adriana Mallozzi, CEO and Founder of Boston area-based Puffin Innovations, is on a mission to empower people with disabilities by providing innovative assistive technology (AT) devices. Adriana grew up with a disability at a young age and was exposed to AT by an occupational therapist at the age of 7. For the first time, AT allowed her to do tasks on her own. That was when she became addicted to AT. She realized that having AT meant becoming independent. And today, Adriana helps others with disabilities become more independent. Adriana went from an early AT adopter to an innovator and entrepreneur getting international recognition three years ago. The prestigious Massachusetts Institute of Technology (MIT) was seeking persons with disabilities on how to solve a problem. As one of 14 accepted in Hackathon, Adriana submitted her proposal and won first place of entries! The Puffin Sip, the original prototype of a wireless sip and puff (SNP) joystick for Android, allows users to navigate their phones and interact with the multitude of apps such as ones designed for home automation, allowing users to control their environment. Today, Puffin Innovations is expanding to develop a variety of AT solutions beyond just SNP related devices. Get the latest news on Puffin Innovations by subscribing to its blog via puffinsip.com. And if you’re a person with a disability in the Boston area, you may also sign up to become a product tester via puffinsip.com.